What do Bigfoot, the Loch Ness Monster and perfect work-life balance have in common? All three are great mysteries that everyone talks about but no one can seem to find. 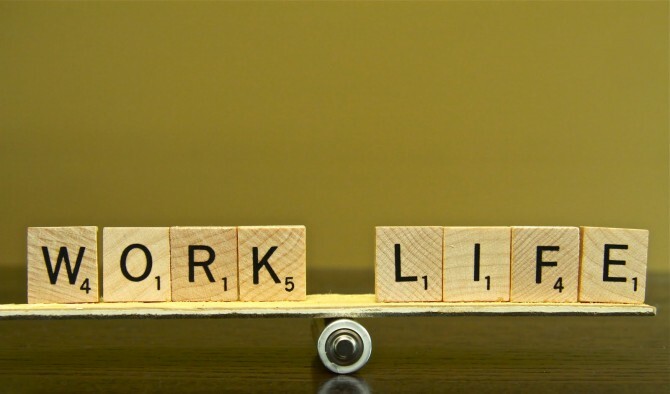 I understand the first two, but why is work-life balance so elusive—especially for entrepreneurs? Being a business owner, I know the question is rhetorical. It seems impossible to turn your computer off at 5 p.m. and to not answer emails first thing in the morning or after dinner. In a highly competitive world, entrepreneurs use almost every waking hour trying to gain an advantage over the competition. Is all the extra time and work necessary? Is it possible to have better balance in our lives? Can we be more productive by working fewer hours? I believe the answer is yes. So let’s stop allowing our businesses to sap our energy, our health and our lives and let’s fix the problem. Here are six steps you can take today that should give you enough time and energy to experience the work-life balance you so desire. 1. Plan properly. “Those who fail to plan should plan to fail.” I cannot stress this step any more vehemently. If you want to get out of the rut you’re in, break out of the bad habits you’ve formed and get closer to living a balanced life, you absolutely, positively need to create a detailed plan of your days and goals. Otherwise, rip up your dreams and goals, toss them in the air and let the winds of fate decide your destiny. 2. Execute. Proper planning is a key step, but it’s not the only step. You must then execute the plan accordingly. To write down your goals and objectives and then ignore them is a meaningless waste of time. 3. Schedule “me time.” Whether it’s working out, having lunch with a significant other, scheduling family time or meditating behind your garage because that’s the only place people won’t look for you, take time for yourself. I don’t do this enough and I pay the price when I feel my energy levels being zapped. This time will recharge your battery and clear your mind so you can see the appropriate path to take. It will also make you more productive during the “prime time” hours of business. 4. Learn to turn off technology. Easier said than done, but cutting the cords to your computers, phones and other devices will free you up to enjoy the moment. Not everything in life needs to show up on Twitter, Instagram and Facebook. Keep some things just for you. 5. Early to bed, early to rise. Want more time? Get up earlier. Not getting enough sleep? Go to bed earlier. You will maximize your performance in every single aspect of your life if you get enough sleep (at least seven to eight hours) every night. One more thing—don’t take your phone to bed with you! Whatever is on there when you go to bed will be waiting for you when you get up. 6. An apple a day. Healthy eating is a critical component to having enough energy to successfully achieve your goals on a daily basis. The food and drink you consume have a direct effect on your daily performance. There is more than enough information online to help you create a healthy meal plan for the week. There is a saying, “If you want something bad enough, you will find a way; if you don’t, you will find an excuse.” For business owners, I’m not sure that a “perfect” work-life balance exists. However, it is possible to find balance that works for you. Start with the six suggestions listed above and see if that gets you closer to your desired level. Be committed to the program you put in place and make the necessary sacrifices. I believe that, after 30 days, you will remove the phrase “not enough time” from your vocabulary.